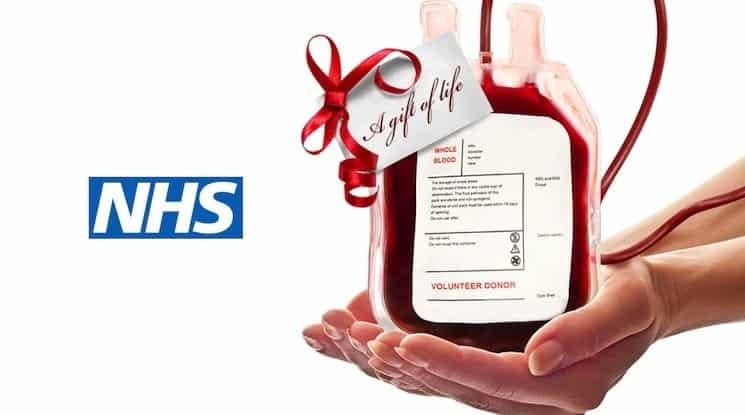 Home > Blog and Latest News > Latest News > Is It Time to Review the Rules on Blood Donation in the UK? In recent weeks, there has been a huge campaign into getting new blood donors. With only 3% of the UK population signed up to donate, there are severe shortages of blood to use for the people out there who need it. Whether it be scheduled transfusions, or an emergency situation, blood is and always will be needed. Over 6,000 blood donations are needed EVERY DAY to keep up with national hospital demand. We are nowhere near 6,000 a day. Working in Paediatrics at Bedford Hospital, I regularly see young people who are in need of blood transfusions. Every month, sometimes every two weeks, young people come on to the ward and receive their much-needed transfusions. With blood donations plummeting, I often wonder how long the NHS can keep providing these life-saving procedures. There are strict rules around blood donation. If you’ve had a transfusion at any time since 1980, you are banned from giving blood. If you have a prominent heart condition, you are banned from giving blood. If you have had a tattoo in the past six months, you are banned from giving blood. However, there is one specific rule that desperately needs to be reviewed, so that a whole new group of people can be eligible. In 2011, the United Kingdom changed the ruling for gay men to donate blood, from a blanket ban to a deferral period of 12 months after engaging in sexual activity with another male. In my opinion, this is wholeheartedly wrong. In an age when blood screening happens for every donation taken, I cannot understand the reasons behind this ban. The reasons given are, in my opinion, based on a science from the 1970s. Gay men are apparently at higher risk of contracting HIV and other sexually transmitted infections than their heterosexual counterparts, which in itself is a very stereotypical suggestion. There are many, many gay men who are in stable, long term relationships who are desperate to give blood, yet are banned from doing so. There are heterosexual men who “sleep around” regularly and can donate. This is astoundingly wrong. I recently volunteered my time to do some research on the subject for the pressure group called ‘Freedom to Donate’ who are campaigning to call for a parliamentary review into blood donation rules for the gay community in the UK. It is a campaign that is going from strength to strength, spearheaded by Michael Fabricant MP of the Conservative Party. Some of the statistics I learnt were astounding, and merely compounded my view that a review of these rules are desperately needed. 97% of the United Kingdom are not signed up to donate blood. With a change in the rules, that number would be drastically improved. If you feel the same, follow @FreedomToDonate on Twitter and get involved.